ST. GEORGE – Dixie State University alumnus, author and historian Dr. Stephen L. Prince will present research and findings about one of the most storied lawmen in Southern Utah history, former Washington County Sheriff Antone B. Prince as part of the 30th anniversary of the Juanita Brooks Lecture Series. Dr. Stephen L. Prince will tell the story of his grandfather, New Harmony native Antone B. Prince, who served as Washington County Sheriff from 1936 to 1954 and was responsible for capturing several well-known criminals, some hiding in the local desert after escaping from police in Nevada or northern Utah. The lecture will be held Wednesday at 7 p.m. in the historic St. George Tabernacle. It is free and open to the public. Dr. Stephen L. Prince is an independent historian, living and practicing in Los Angeles, Calif., in the shadow of his alma mater, UCLA. He became interested in Mormon history after his brother challenged him to write a biography of their grandfather. That ultimately led to the publication of his book, “Gathering in Harmony,” which won the Evans Handcart Award, the Thomas Rice King Award from the Mormon History Association and was presented at Utah State University. 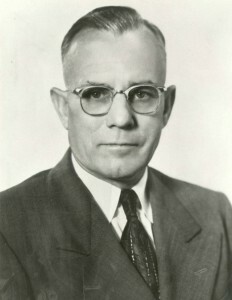 Articles connected to research for his book were published in the Journal of Mormon History, Nauvoo Journal and Utah Historical Quarterly. His more recent biography of Mormon pioneer and politician Hosea Stout is currently awaiting publication by the University of Utah Press. The Juanita Brooks Lecture Series, which was established at DSU by Obert C. Tanner for the purpose of perpetuating the great writing of Southern Utah in the tradition of Juanita Brooks, is an annual part of the St. George Tabernacle’s Weekly Music and History series. Juanita Brooks, who served on the Utah Board of State History for 28 years, was a longtime professor at the former Dixie State College and became a well-known author. She is recognized, by scholarly consent, to be one of Utah and the Mormon Church’s most eminent historians. Her total honesty, unwavering courage and perceptive interpretation of fact, set more stringent standards of scholarship for her fellow historians to emulate.